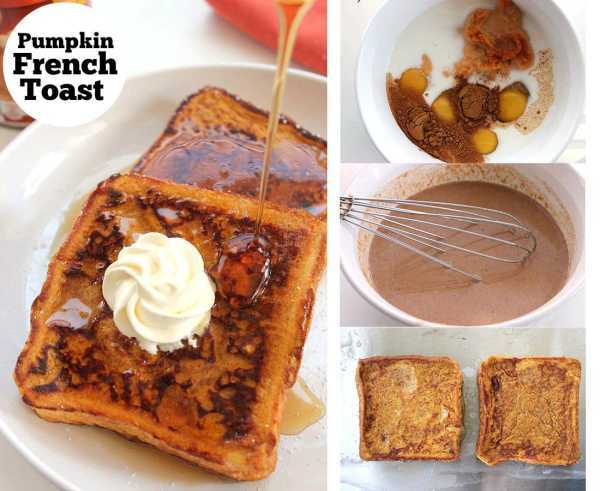 If you are looking for a fall inspired breakfast idea, this Pumpkin French Toast recipe should be on the top of your lists. 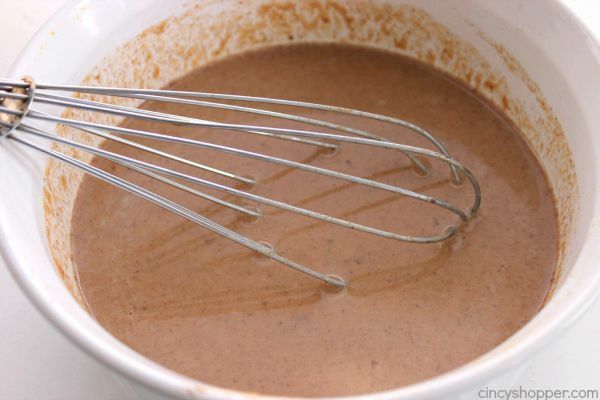 This recipe is so super simple and has the perfect amount of pumpkin and cinnamon flavors. It’s that time of year when most everyone enjoys “everything pumpkin”. Pumpkin flavors in breakfast dishes always makes them extra delish. My family is always so excited to enjoy hot breakfasts during the fall and winter months. We are usually so pressed for time on school days that hot breakfasts are usually made on the weekends. Every fall, I get crazy with pumpkin breakfast ideas. 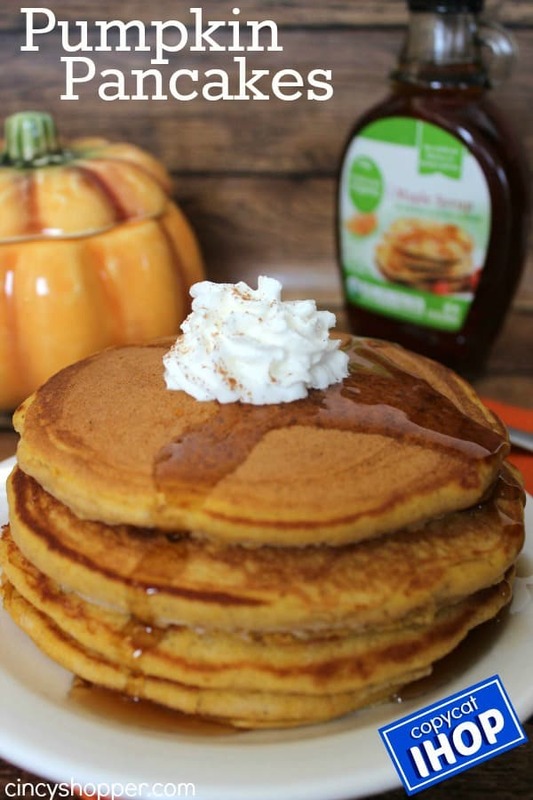 My kiddos really like my CopyCat IHOP Pumpkin Pancakes so I make those frequently. 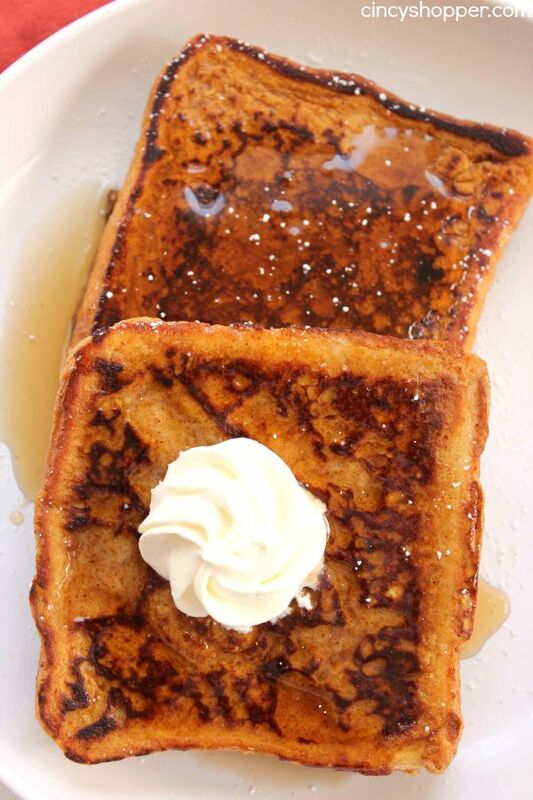 This Pumpkin French Toast is also a frequent request. They all know it is one of my favorites. 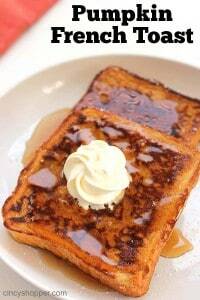 So if they request this french toast recipe, I am more apt to make a hot breakfast, ha ha. My daughter and I are the biggest pumpkin fans in the house. 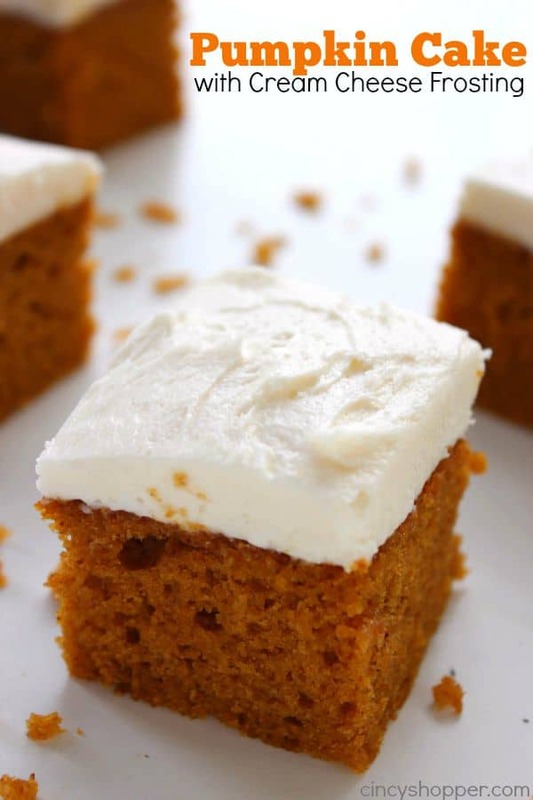 After enjoying our Pumpkin Cake with Cream Cheese frosting last week, I think we are in full on pumpkin everything mode. 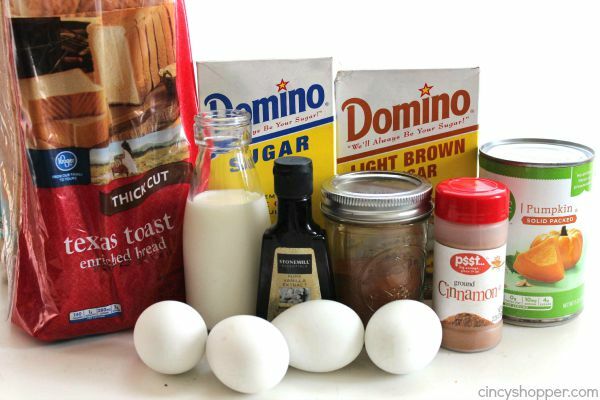 This recipe requires just a few ingredients and comes together quickly. I like to bust out my big griddle for french toast if I am feeding my entire gang. Since I use Texas Toast, it is a bit more filling than standard sandwich bread is. 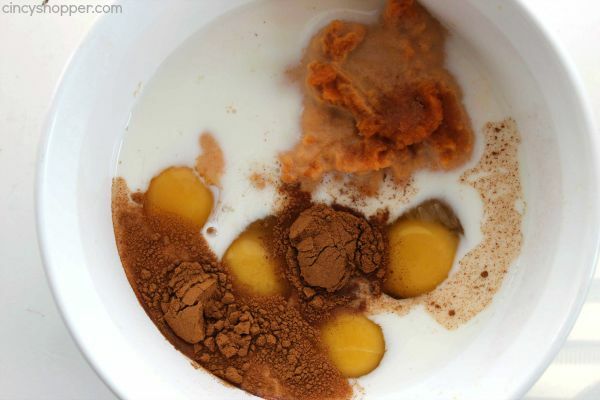 Mix together eggs, milk, pumpkin, sugar, brown sugar, and spices. Heat 1 teaspoon butter in skillet over medium heat until butter is sizzling. 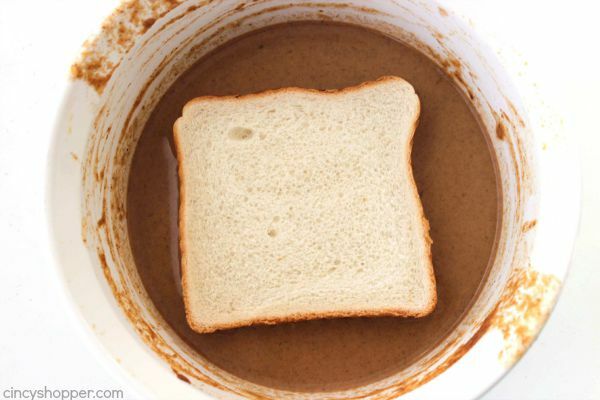 Dip each slice of bread in egg mixture allowing it to soak for several seconds, then flip and repeat on other side. Transfer several slices to skillet and cook for about 3 minutes per side until browned. 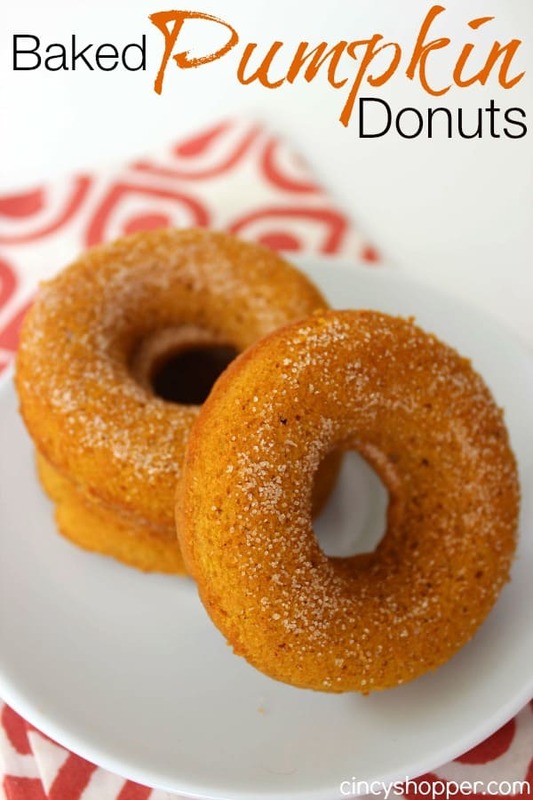 Do you have a favorite pumpkin breakfast recipe? 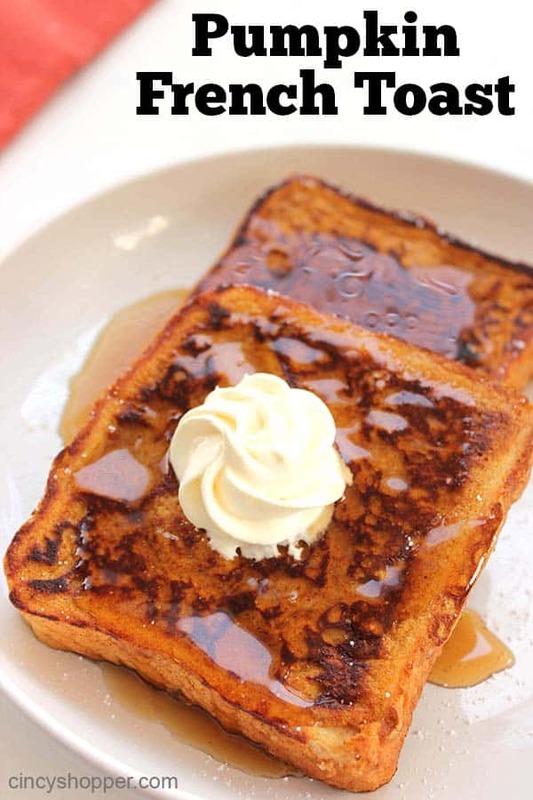 This french toast would make for a great Thanksgiving morning breakfast idea. Such a comforting fall breakfast. We think a like!! 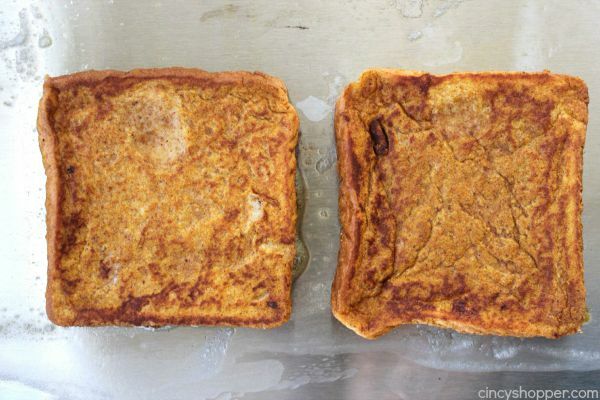 I was planning on having pumpkin French Toast this weekend when my young adult kids come home. YUM! Yours looks amazing! All of your pumpkin recipes look so delicious. I love sharing them especially on Pinterest. 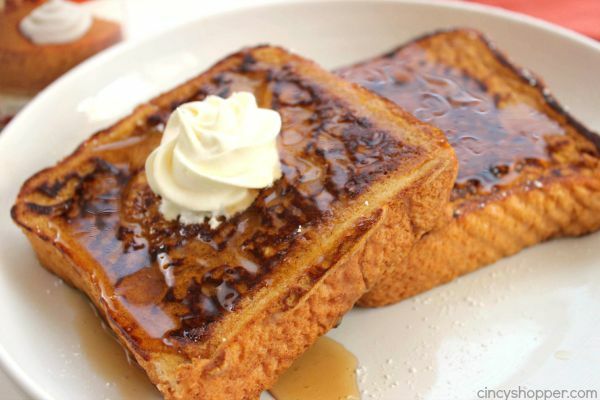 Stopping by from Flour Me With Love – I saw pumpkin french toast and instantly got hungry! I want some! 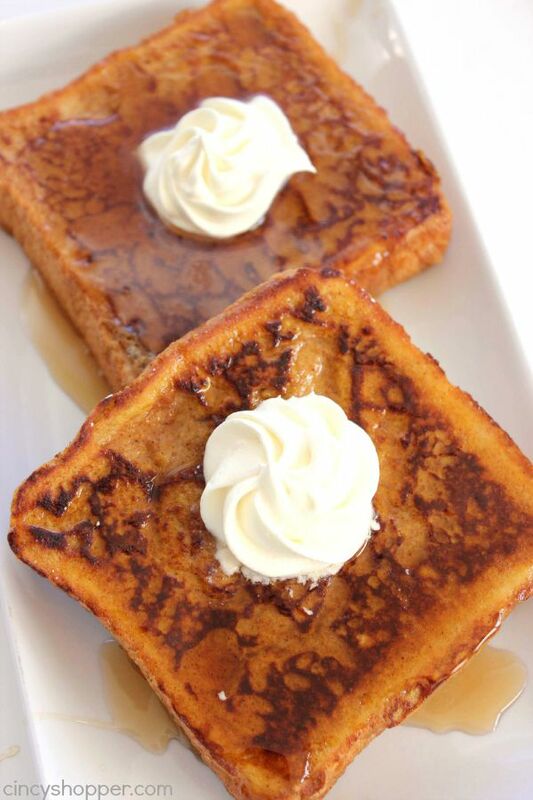 Jen, you’re pumpkin french toast looks delicious! I’d love it if you would link up and share with us at our Best of the Weekend Party! I’m pinning this to my breakfast board! This looks so good!! Before this, I’d have to say that my favorite pumpkin breakfast recipe was pumpkin scones. Now, that’s all about to change! Yummers! 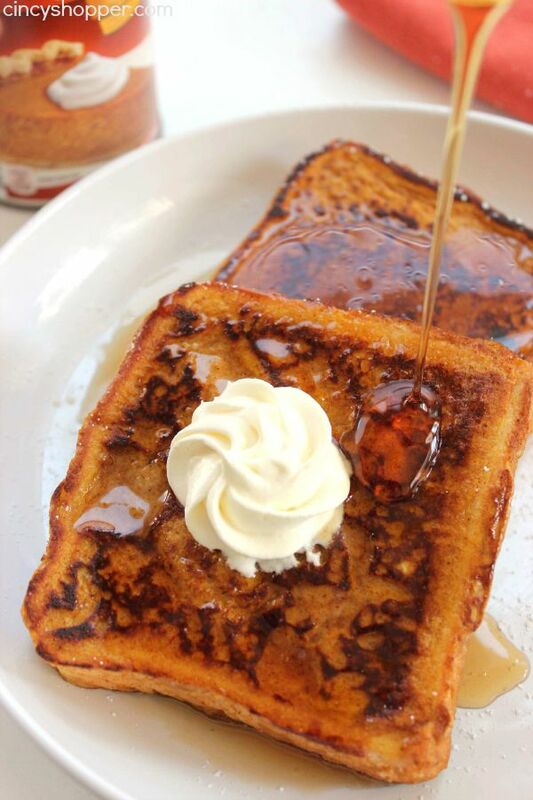 Pumpkin French Toast? Yes Please! OOh can’t wait to make!